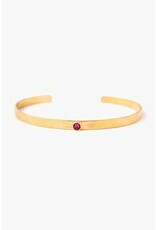 This minimal January birthstone cuff is composed of 18k gold plated sterling silver and a siam SWAROVSKI® crystal. 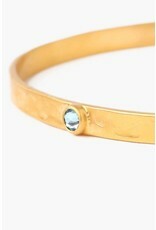 Pair with our January Siam Birthstone Hook Earrings and gold-toned jewelry. 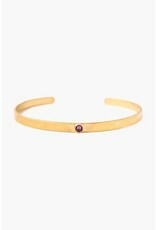 This minimal February birthstone cuff is composed of 18k gold plated sterling silver and a amethyst SWAROVSKI® crystal. 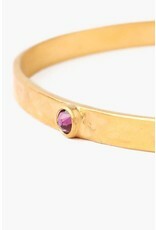 Pair with our February Amethyst Birthstone Hook Earrings and gold-toned jewelry. 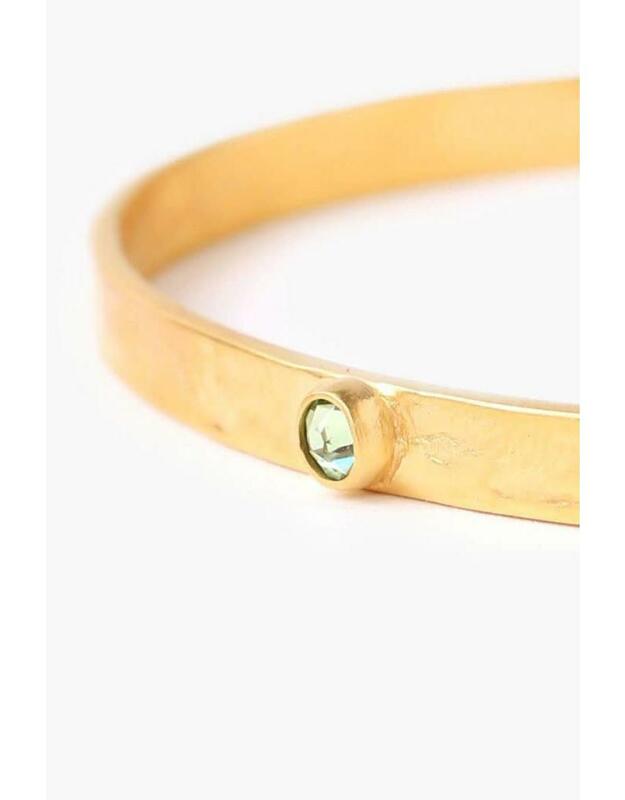 This minimal March birthstone cuff is composed of 18k gold plated sterling silver and a aquamarine SWAROVSKI® crystal. Pair with our March Aquarmarine Birthstone Hook Earrings and gold-toned jewelry. 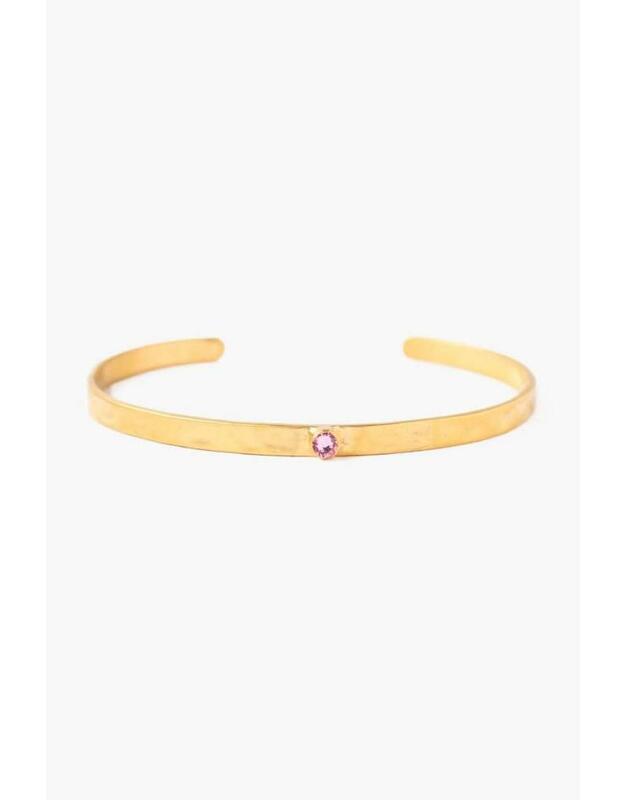 This minimal April birthstone cuff is composed of 18k gold plated sterling silver and a crystal SWAROVSKI® crystal. 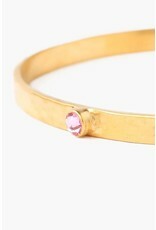 Pair with our April Crystal Birthstone Hook Earrings and gold-toned jewelry. 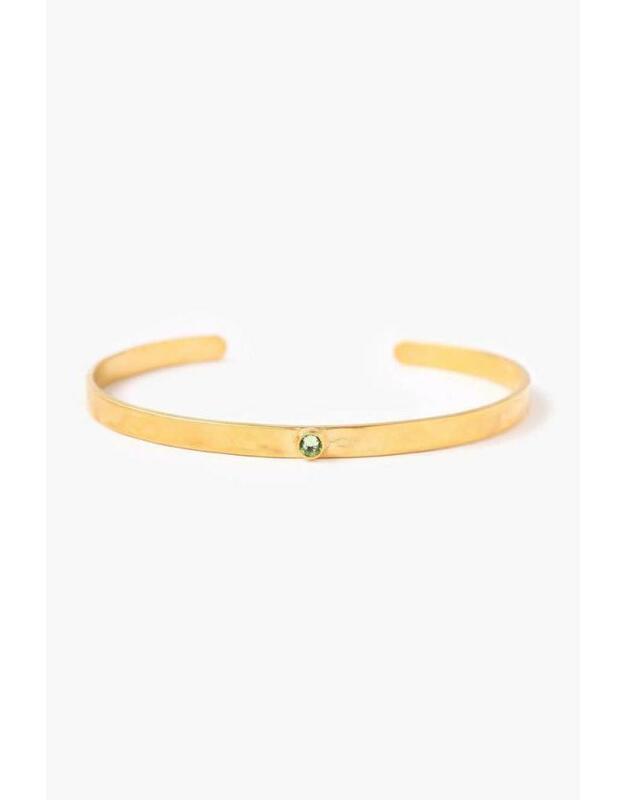 This minimal May birthstone cuff is composed of 18k gold plated sterling silver and a emerald SWAROVSKI® crystal. Pair with our May Emerald Birthstone Hook Earrings and gold-toned jewelry. 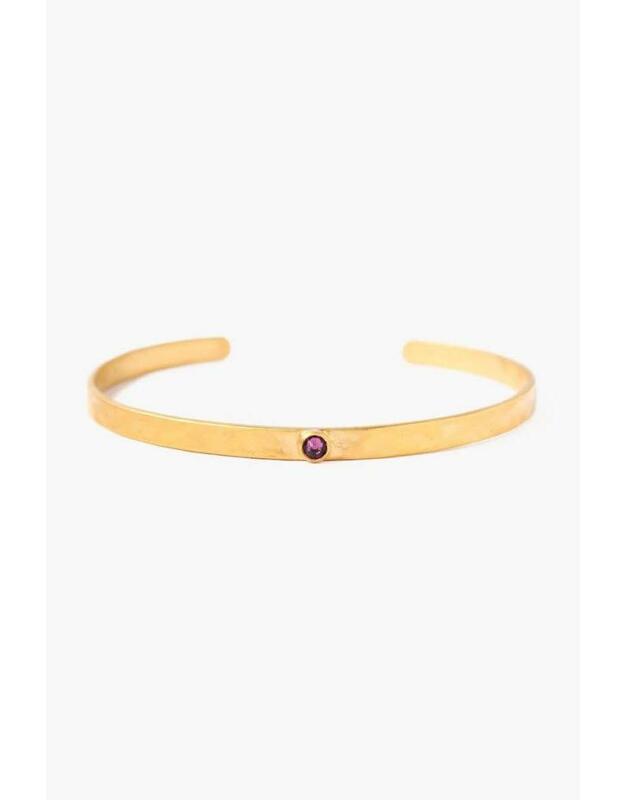 This minimal June birthstone cuff is composed of 18k gold plated sterling silver and a light amethyst SWAROVSKI® crystal. 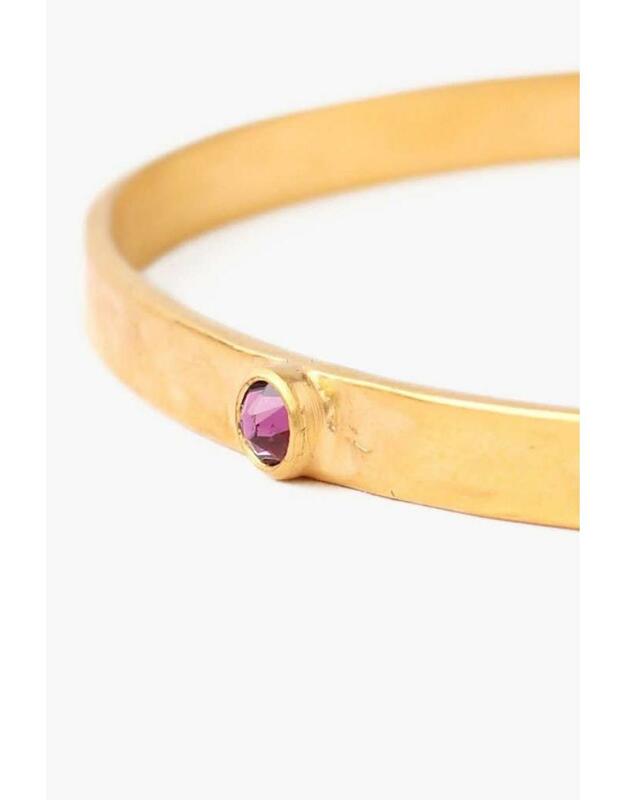 Pair with our June Light Amethyst Birthstone Hook Earrings and gold-toned jewelry. This minimal July birthstone cuff is composed of 18k gold plated sterling silver and a ruby SWAROVSKI® crystal. 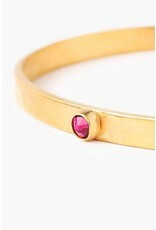 Pair with our July Ruby Birthstone Hook Earrings and gold-toned jewelry. 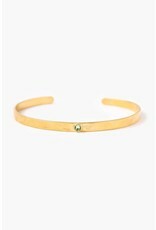 This minimal August birthstone cuff is composed of 18k gold plated sterling silver and a peridot SWAROVSKI® crystal. 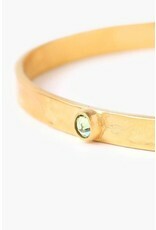 Pair with our August Peridot Birthstone Hook Earrings and gold-toned jewelry. 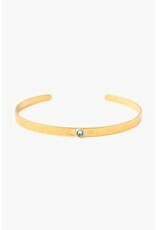 This minimal September birthstone cuff is composed of 18k gold plated sterling silver and a sapphire SWAROVSKI® crystal. Pair with our September Sapphire Birthstone Hook Earrings and gold-toned jewelry. This minimal October birthstone cuff is composed of 18k gold plated sterling silver and a light rose SWAROVSKI® crystal. 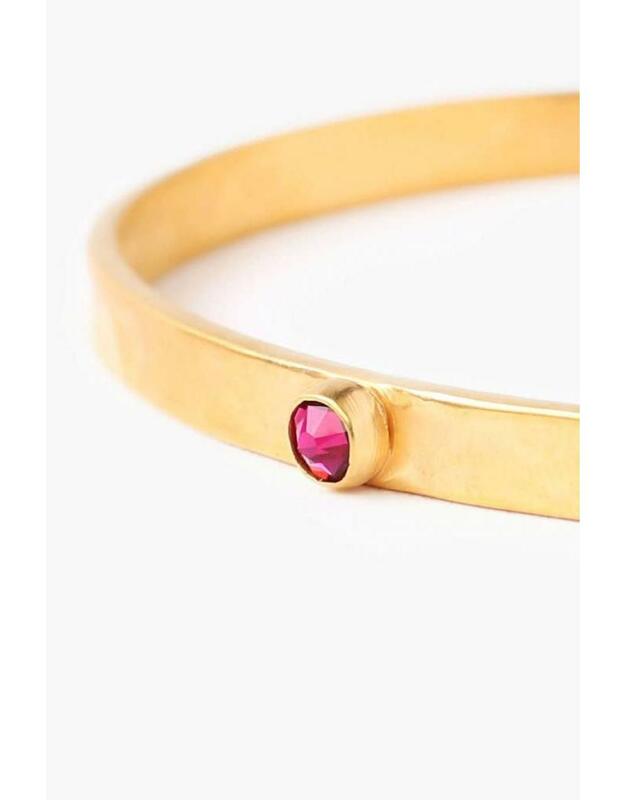 Pair with our October Light Rose Birthstone Hook Earrings and gold-toned jewelry. 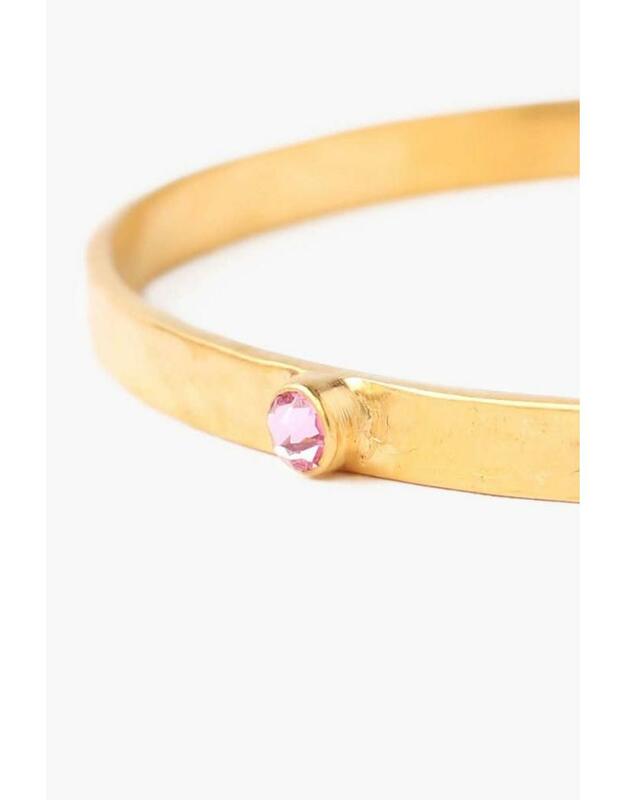 This minimal November birthstone cuff is composed of 18k gold plated sterling silver and a light colorado topaz SWAROVSKI® crystal. Pair with our November Light Colroado Topaz Birthstone Hook Earrings and gold-toned jewelry. 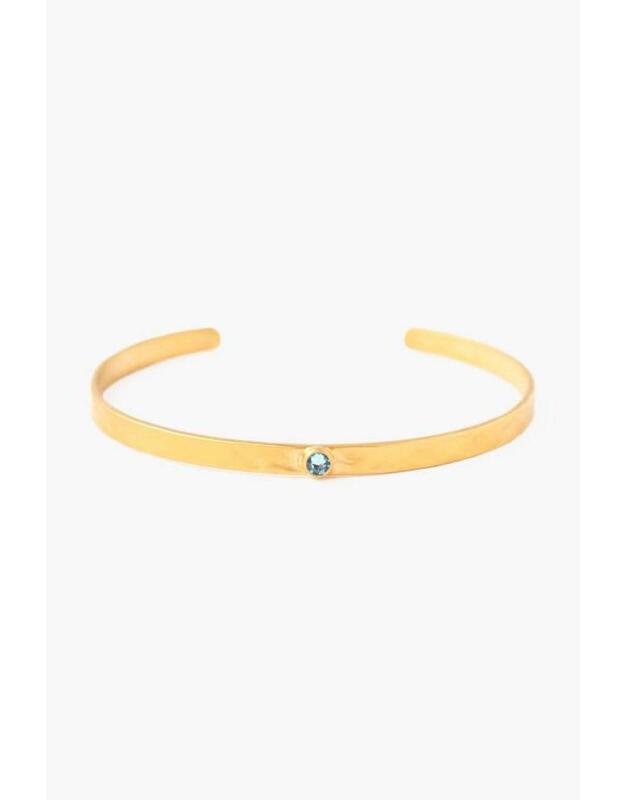 This minimal December birthstone cuff is composed of 18k gold plated sterling silver and a light turquoise SWAROVSKI® crystal. 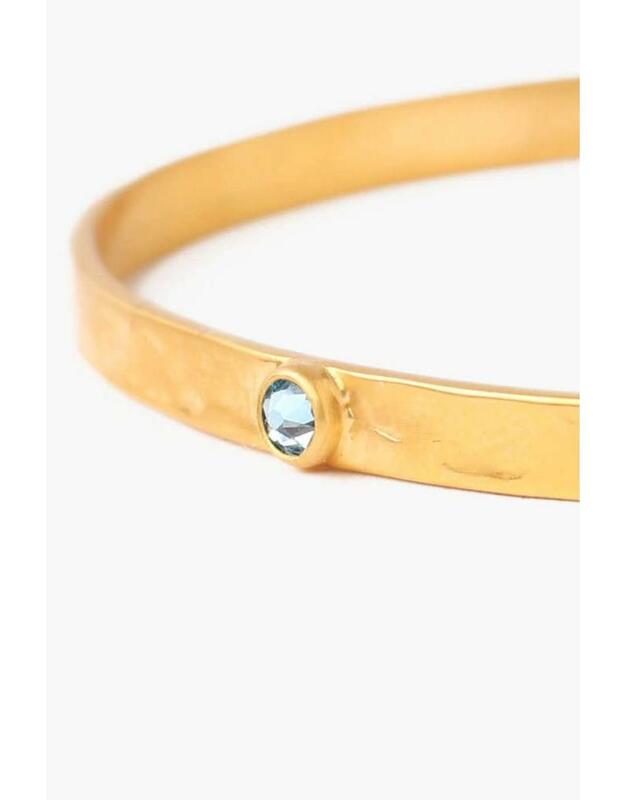 Pair with our December Light Turquoise Birthstone Hook Earrings and gold-toned jewelry.